1. 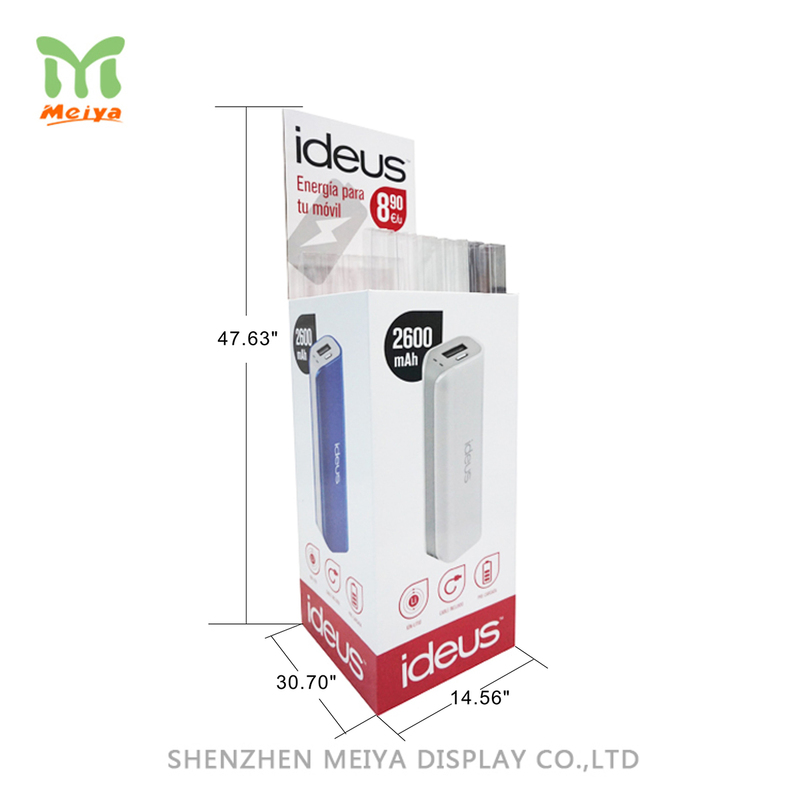 Wide range of applications, such as power bank, charger USB cables, headset and more. 2. Removable header, pinted customized graphics. 3. To hold numbers of products. 4. Suit for any retail environment. Such cardboard displays can be applied to power bank, charger USB cables, headset and more. The corrugated dump bins are with large space to storage a number of products, meanwhile play an effetive role to promote your products or brands. To print customized graphic of your products to catch customes' eyes quickly and easy.